We all talk a lot about the principles behind content marketing. But there is nothing as inspiring as seeing great content – of any kind – in action. Here at the fabl, we got our heads together and came up with some of our recent favourites. 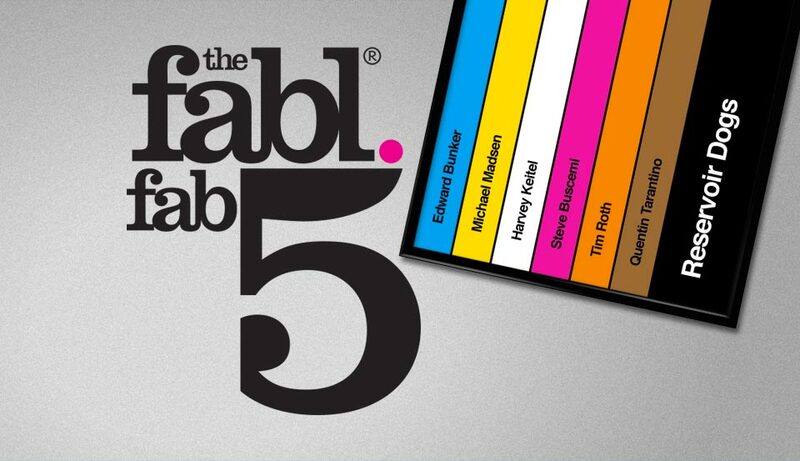 We know that it says fabl’s fab five at the top, but it’s our first edition and we just couldn’t contain ourselves. The disappearance of flight MH370 left people around the world baffled and shocked. We found this infographic an eloquent, clear way of explaining part of the challenge faced by investigators searching for the plane. The Tiny Wife by Andrew Kaufman, illustrated by Tom Percival, is a modern day fable about a group of people linked by a bank robbery. Mixing prose with imagery evokes a vivid tale that charts how lives become intertwined by an event. Morrisons’ new online food shopping site may not be as pretty as some competitors, but it’s a success in terms of functionality and usefulness. There’s no glamorous photography, but the user journey has been designed with the customer in mind. It suggests meals, special offers and provides a consolidated ‘use-by’ timetable for your shop – all without slowing down the check-out process. This is a site designed to make supermarket shopping as easy as possible for the ones spending the money. This one appealed to the fabl’s outlook on life. “Optimist: someone who figures that taking a step backwards after a step forwards isn’t a disaster, it’s a cha-cha”. Smiling in the face of adversity is a far better way than panicking. Changing someone’s mind about a product is a challenge, but this brand managed to make knitting look cool. Our designers love typography and were fascinated by the rationale and thought behind the new Intel font. It’s not fancy, but every part of it is carefully considered and done for a specific reason – it was so well planned, it took a year to create. Print Isn’t Dead – it’s a craft and definitely has its advocates. This is a project that’s still in kickstarter phase, but the idea is to collect examples of wonderful print work. These minimalist Swiss-style posters of iconic films use geometric shapes, block colours and deceptively simple-looking design to evoke classic films. Each one captures the essence of the film eloquently and effectively. This example of typography in the real world pays homage to design we take for granted, and shows what some people can achieve without the advantages of the undo button. Road signs and markings might be some of the most-seen pieces of design in the world, yet we rarely stop to think about the skill and time that has gone into them. Our final entry into the fabl’s fab hall of fame is Oh Comely magazine. With the tagline “keeping your curiosity sacred”, this is a lifestyle magazine that combines interesting and inspiring stories with beautiful design, photography and print.